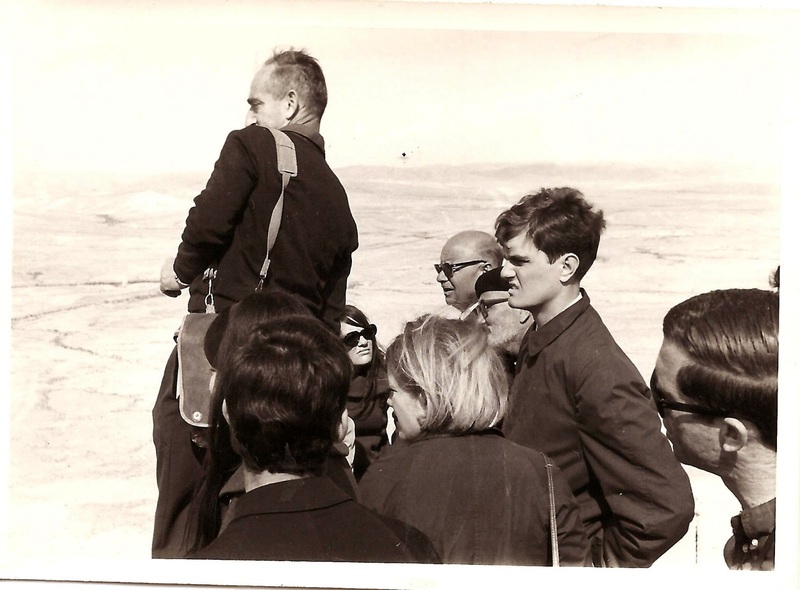 I went to Israel in 1968 during the University of Vienna’s month-long semester break. At the time, I was studying at the Institute of European Studies (IES), which was part of the University, whose its fall semester ended in late January and whose spring semester began in March. With no classes in February, students had time for long trips, and the Austrian student travel association (ÖKISTA) offered the most enticing travel options, including a group trip to Israel. Its prices were cheap, but then students in Europe had plenty of opportunities to enjoy life at reduced prices. 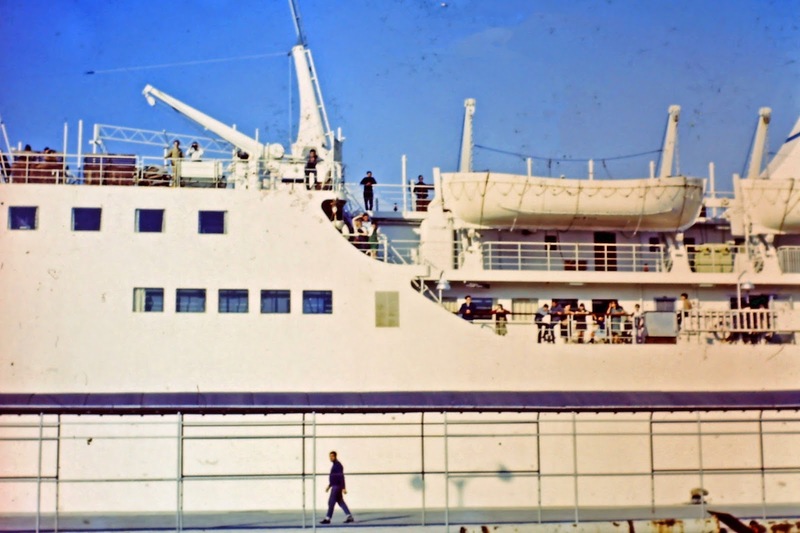 The Israel trip included travel by ship from Italy to Israel, with stops along the way, plus two weeks in the country, at an all-inclusive price that was barely believable. I hopped on board, as did several other fellow IES students. 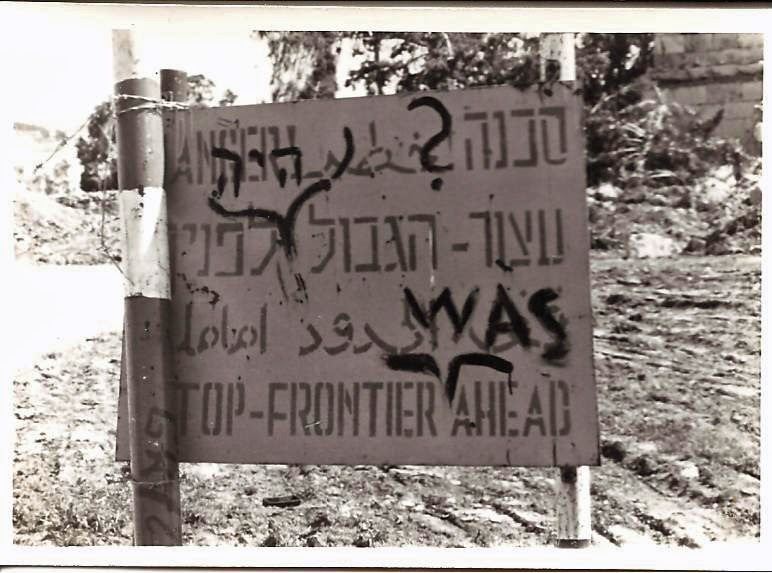 Although it barely occurred to me at the time, the dirt-cheap price likely was related to the “Six Day War” that Israel had fought seven months earlier, in June 1967. Israel had battled Syria, Egypt, and Jordan. After winning the war decisively, it had occupied land taken from its opponents. Some people might have had second thoughts about traveling to a country, aboard one of its ships, whose existence was under threat by most of its neighbors. I, being young, did not, of course, give this situation a second thought. The travel group included two of my Parisergasse suite-mates (God rest the soul of our Hausfrau, Frau Winckler). They were Mike Ramaker and Jack (last name escapes me). Mike (from Indiana) and Jack (from Florida) were roommates, but did not care much for each other. I shared an adjacent bedroom with roommate Tom Dodds (a Texan). I enjoyed being around Mike, whose sarcasm and acerbic comments often amused me. Also, I had a friendly acquaintance with Jack, but we had little in common. The group of about 20 students, plus a few older folks, took off early one February morning in a bus heading toward Italy. We spent a night in Venice and the next day we arrived in Naples, where we boarded an Israeli passenger ship aptly named the Dan. The ship was named after a city located during Biblical days in what is now the northeast corner of Israel. The hours in Rhodes, an island on which one of the original several wonders of the world was located, left me with a strong desire to return to this beautiful island. Maybe in 2015. Cyprus was a tense place with armed soldiers eyeing everyone around them. Crossing the border from the Greek part of Cyprus to the Turkish part, and vice versa, was harrowing. At the time, Cyprus was in the midst of campaigning for a late February presidential election. Somehow I ended up with a campaign poster for the leading candidate, Makarios III, who won re-election; sadly the poster was made of such cheap paper that it quickly deteriorated. Most of the sailing was done in the evenings and nights after the port visits, and the ship provided ample post-dinner entertainment. One night a hypnotist provided a show and one of his “subjects” was an IES student. The show went well, with the hypnotized student doing silly things as ordered by the hypnotist; then, near the end the act the “hypnotized” student turned his eyes to his friends in the audience and winked to let us in on the joke. Also one night, a costume contest was held and someone convinced me to go as “Baby Hughie,” wearing a sheet as a diaper. I did not win the best costume prize and am glad that no photos have survived. Of the several days on the ocean, one night stands out. It was the night we were hit by a storm that tossed us around like a dare-devil carnival ride. I downed some Dramamine, got into my upper bunk bed and promptly went to sleep, awakening periodically when a great swell threw me from one side of the bed to the other. The ship arrived in Haifa in the northern part of Israel. 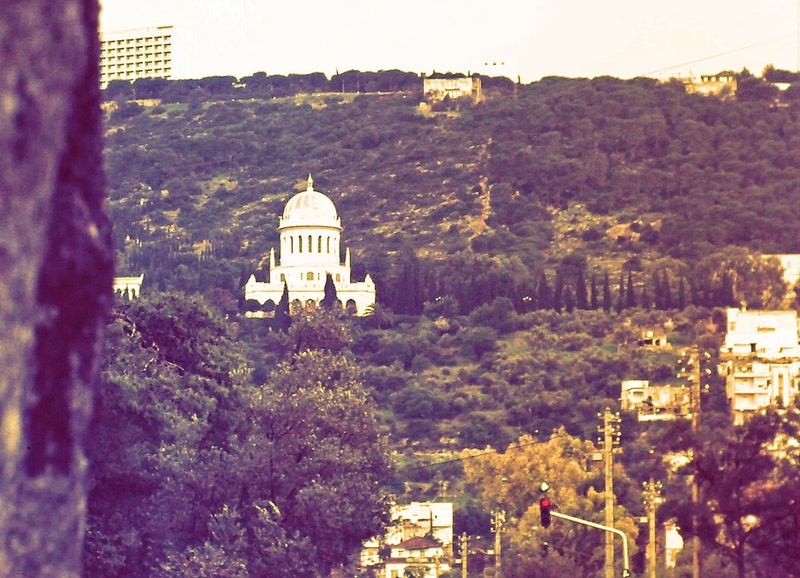 The initial view of the city was dominated by a large gold-domed Bahai Temple that sat midway up a ridge on the east side of the city. When going into the city for the first time, we were pleased to find that the weather was mild and the trees were green. It was a pleasure to trade the Austrian winter for these new surroundings. Most of the group headed off for a week at a Kibbutz, but Mike and I, being lazy and independent types, decided that we would go our own way and meet up later with the others for the scheduled tour. 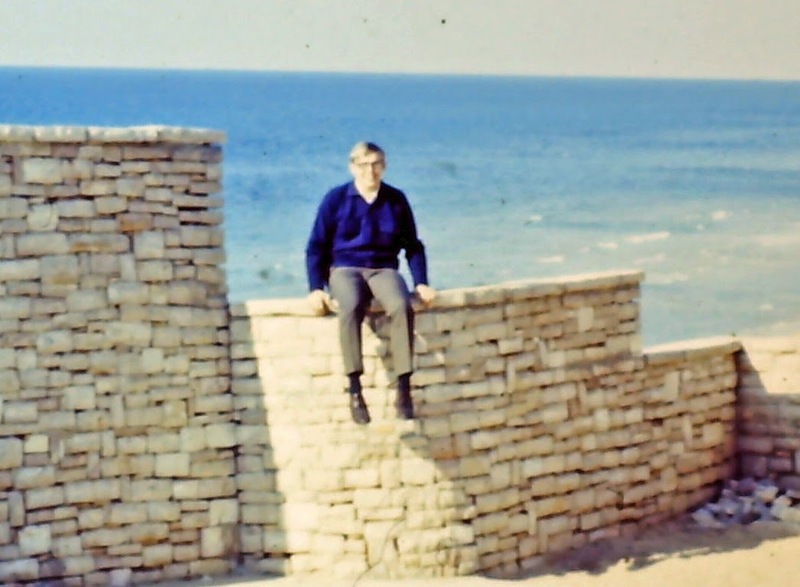 We stayed at a hotel in Netanya, a coastal city south of Haifa with about 55,000 residents. Our room was a short walk to the Mediterranean Sea. The hotel served tasty kosher meals, the first I had eaten. During the week in Netanya, Mike and I went to Jerusalem a couple of times. That required taking a bus from Netanya to Tel Aviv, then boarding another bus from Tel Aviv to Jerusalem. We quickly figured out that the country is tiny, the bus system was efficient and travel times were quite manageable. We wandered around the arid and largely treeless underdeveloped eastern side of the city that had been part of Jordan until June 1967. In this hilly area, families lived mostly in modest huts, and it was not rare to see people riding on donkeys. 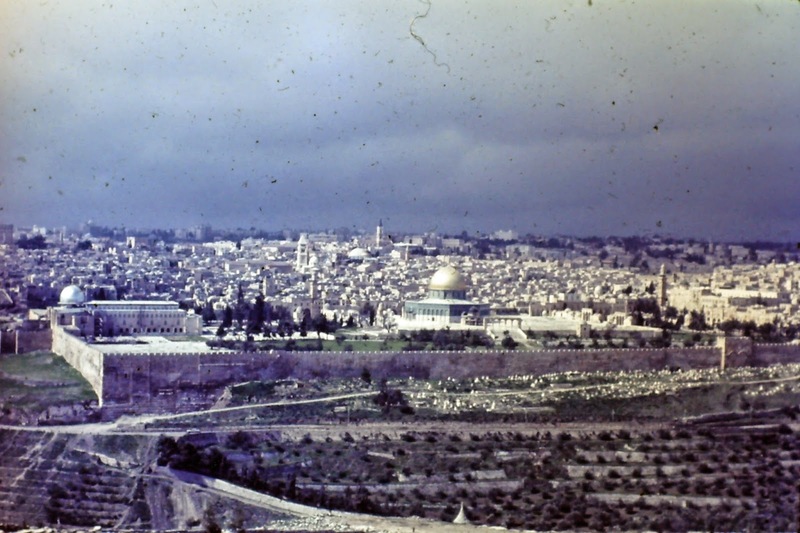 In contrast to the languid pace of life and desolation on the east side of Jerusalem, the western part of city, which had been part of Israel from its early years, was a high-energy modern city. It had new buildings and heavy traffic, and most people wore western dress. 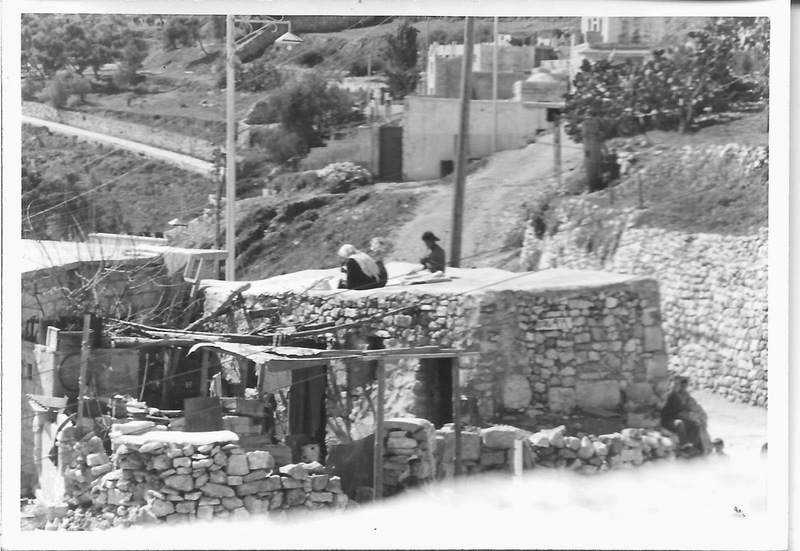 It seemed to occupy a different world that the one inhabited only a few miles away by the people in east Jerusalem. The Old Walled City was an exotic place for an innocent traveler who not experienced the color, smells, and jostling bustle of Arab commerce. 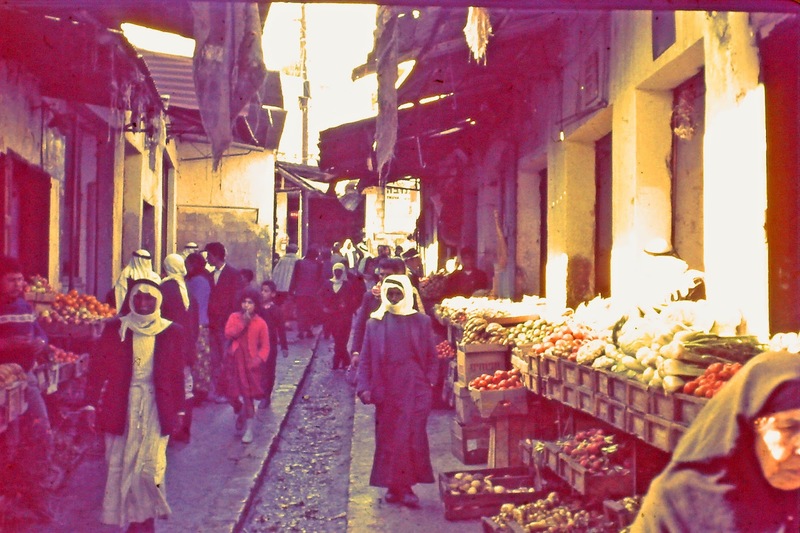 In many parts of the city, the narrow passageways were lined with small shops selling foods, clothes, tobaccos, and other goods that came without packaging. The oddly dressed crowds, the emphatic conversations in an unfamiliar language, and the energetic efforts of the sellers created an impression of chaotic strangeness that, alone, was worth the trip. I watched in amazement as others lived lives that I had not imagined. When entering the Walled City, evidence of the recent war was prominent. 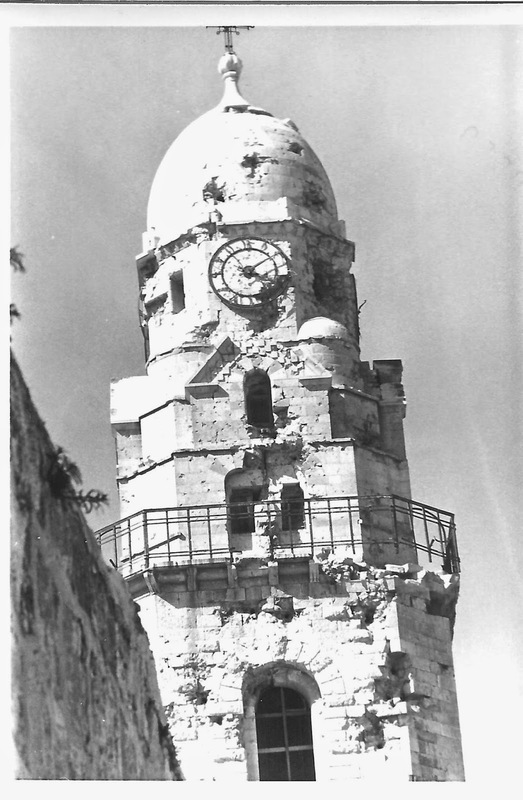 The history of the war describes fierce fighting for it, including hand-to-hand combat on Temple Mount, an area of the city sacred to both Muslims and Jews. Many of the battles took place at its entrances. Seven month later, bullet marks and damage from explosives still scarred both the walls and buildings near them. Aside from the Jerusalem visits, the most memorable experience during the first week was time spent in Caesarea, which lay several miles up the coast from Netanya, about half way to Haifa. Mike and I went there by bus to see the ruins of this ancient Roman city. We had the whole place to ourselves as we walked amid the remains of a coliseum and strolled among fallen columns and shells of buildings. It looked as if an earthquake had destroyed a large Roman city and the ruins and rubble had remained largely untouched for centuries. When we walked a short way to the shore of the Mediterranean Sea to view the ruins from that perspective, a local kid ran up to us to offer some wet Roman coins he had fished from the Sea. I bought one for a small price, but much of it disintegrated when it dried. Still, I was awed to hold this item in my hand and wonder in what other hands and pockets it had been since it was created, and how it had ended up in the water. 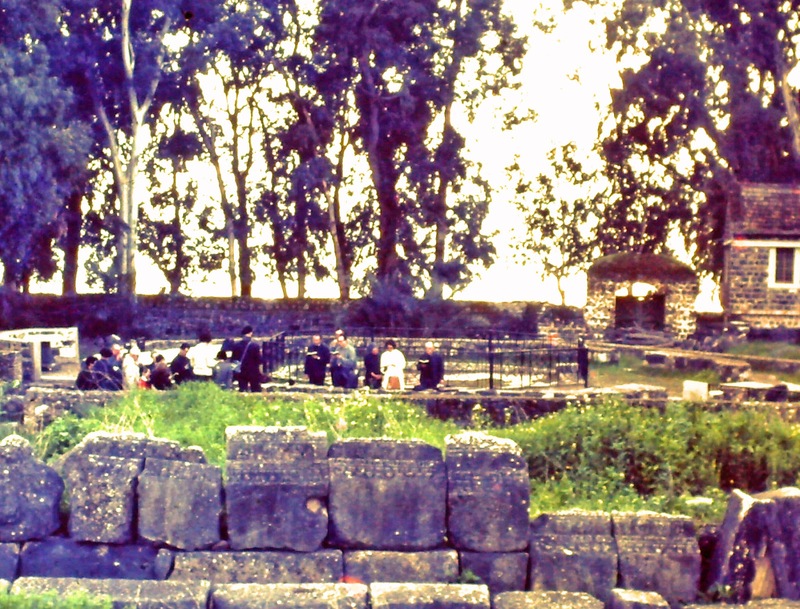 We enjoyed the Caesarea ruins so much that we did not notice that it was getting dark. At last, we realized that we had to leave before night fully came. We went to the bus stop to find we had missed the last bus that would take us back. So, in the darkness we walked a couple miles down an empty road between Caesarea and a bus stop on Highway 2. For a second I wondered whether I should be scared, but decided nothing could happen on such a peaceful night while walking in the company of a multitude of Roman ghosts. After a week on our own in Netanya, Mike and I joined with the rest of the University of Vienna group for a tour that took us from one end of Israel (Golan Heights) to the other (Eilat), with many stops in between. We had a knowledgeable guide, who sometimes offered a little too much information. Despite occasional yawns, we learned much from him. Golan Heights (Occupied Syria). We went up to the southern edge of the Golan Heights that overlook the Sea of Galilee and the surrounding parts of Israel. 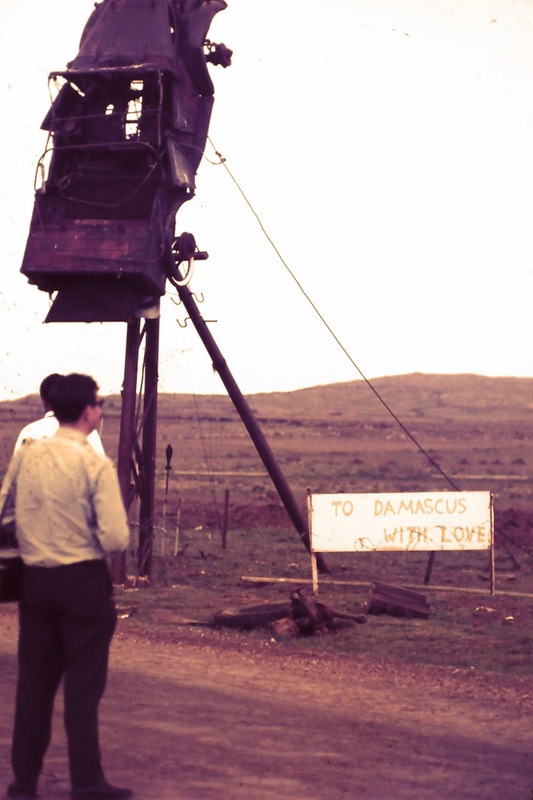 Until June 1967, the Golan Heights had been part of Syria from which it could easily fire weapons, mortar and artillery at Israeli settlements below. It provided Syria with a commanding military position. We stood on top of Syrian military bunkers to view the green valley and the stunted hills that stretched before us. 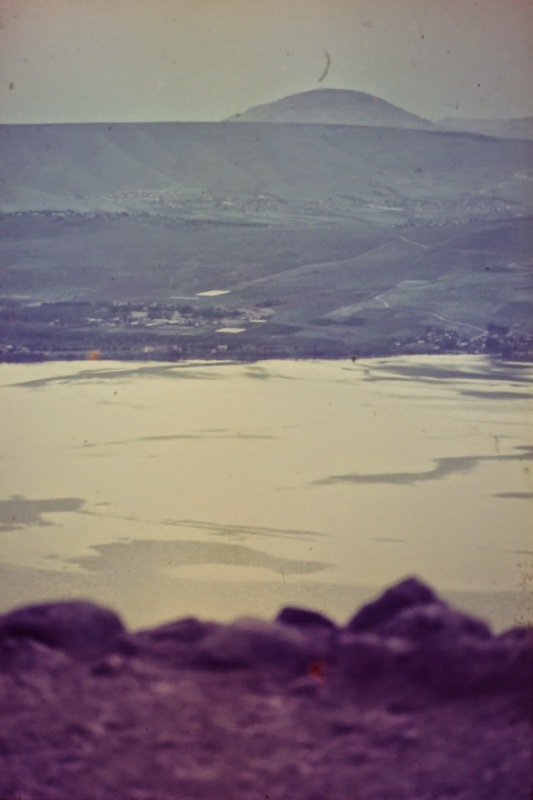 From there, we saw the well-tended land surrounding the Sea of Galilee and the small mountains that arose in the distance. Megiddo (In Greek, the name in Armageddon). This site is located in the northern part of Israel about 25 miles from Haifa. For many of the pre-Christian Era centuries, it occupied a strategic location guarding a narrow pass on a trade route that connected Egypt with Assyria. At this site, cities were built at different times from 7000 BC to 586 BC., and they were repeatedly destroyed by battles, then rebuilt again. Archaeological excavations of Megiddo have found 26 layers of ruins that accumulated during it 6,500 years of existence. Visiting these ruins created a new appreciation of the scope of history that has been lived in times before ours. The six and a quarter centuries between the time of Columbus’ arrival in the “New World” and the present is less than a tenth of the time of Meggido’s existence. Inspired by my visit to this site, I tracked down a book, The Source, by James Michener, that tells the story of a fictional ancient city in Israel resembling Megiddo and lives of people living there as it was repeatedly destroyed and rebuilt. Jerusalem. 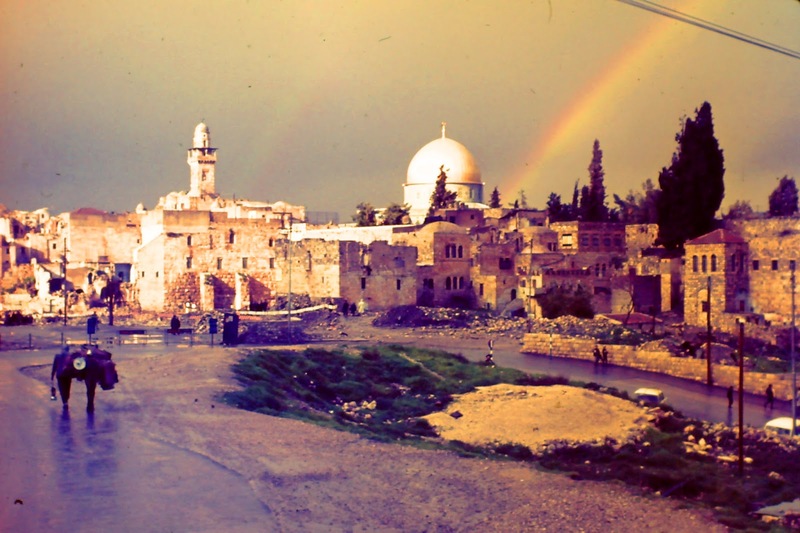 Returning to the city with the group, I visited major spots important to Christian, Jewish, and Muslim faiths. The city of full of them; many of the Christian sites are associated with the crucifixion story. 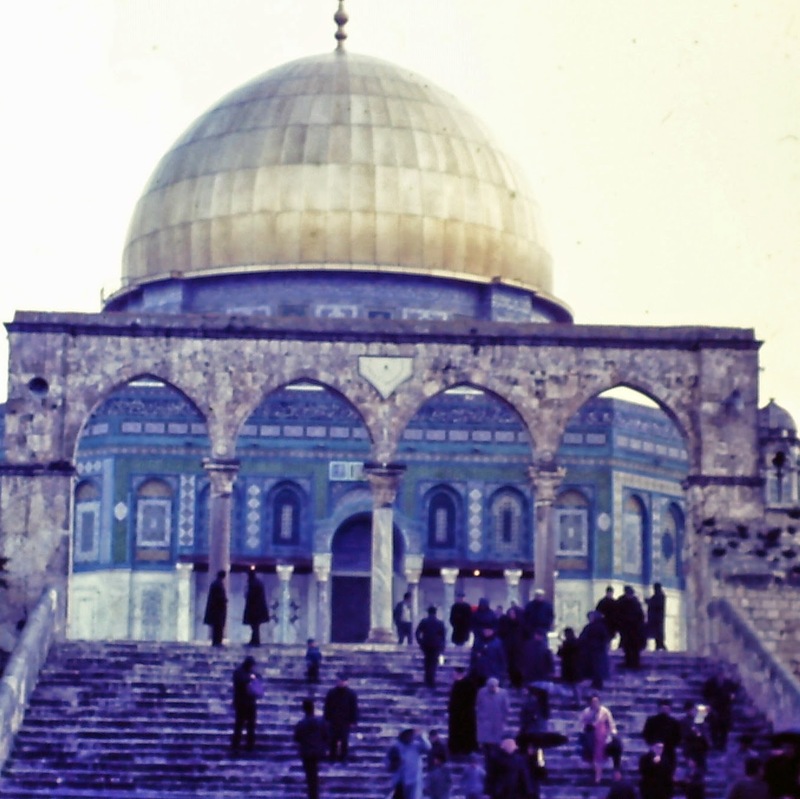 Probably the most famous – and certainly the most visible – place in the Walled City is the Dome of the Rock, on Temple Mount. This Muslim Shrine was built on the location of the Jewish Second Temple, which was destroyed by the Romans in 70 C.E. (aka A.D.). The Dome of the Rock is built over the “Foundation Stone.” According to Muslims, it is from this stone that Muhammad ascended to heaven. Jews regarded the “Foundation Stone” as the holiest spot on earth; it was the “Holy of Holies” during the time the Second Temple was located there. After visiting the various religious shires and holy place, I enjoyed walking around the Walled City. As I was hunting for souvenirs just before our group was about to leave, a slick-talking hustler started walking uninvited beside me and acting as a tour guide, pointing out interesting things in the area. After walking beside me for about 15 minutes and gently steering me in a direction I was not sure I wanted to go, he stopped and pointed to a building. He told me that his lovely sister was there and was available for a small fee. When I thanked him for his kind offer, but said I needed to get back to my group, he suddenly became belligerent and demanded pay for his “tour” services. Another lesson learned. 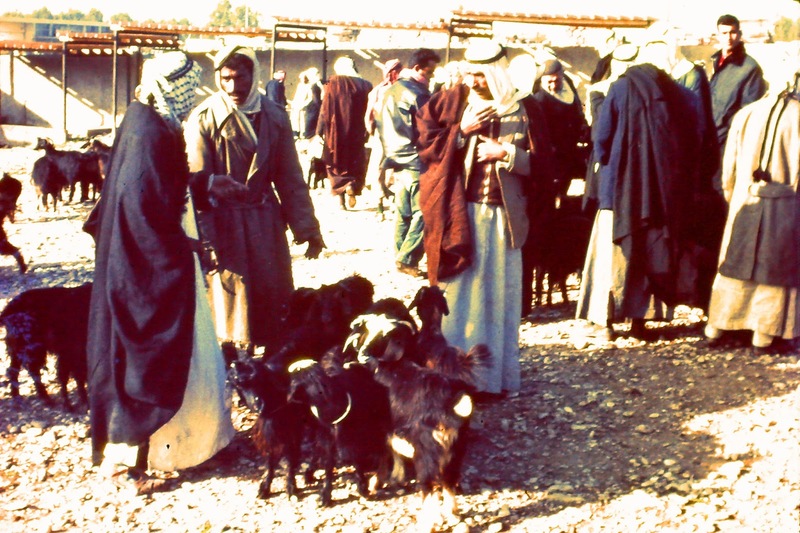 Bethlehem and Jericho (occupied Jordan). We made a trip to sites well known to Christians, including a church that purported to be built at the birthplace of Jesus. This area had been occupied by Israel six months earlier, and we did not seem particularly welcome, except by sellers of trinkets. Dead Sea/Masada. The Dead Sea is huge body of water, framed by bare, inhospitable mountains. We got to spend enough time at the Dead Sea to prove that, in fact, it was impossible to drown in such salty water. Then we went to a legendary site in Jewish history, Masada. It was at this mountain, as described by the historian Josephus Flavius, that a band of zealous Jews held out against the invading Roman army in 73 A.D. The mountain top – where the defenders had their garrison -- was accessible only by a winding, narrow path. The Romans surrounded the mountain and laid siege, then they built scaffolding for passage up the mountain. When they finally were able to enter Masada, they found that all of the defenders had killed themselves. Some historians claim that Josephus Flavius’s story was not accurate and no mass suicide occurred, but it is still told as an example of Jewish resistance to invaders. 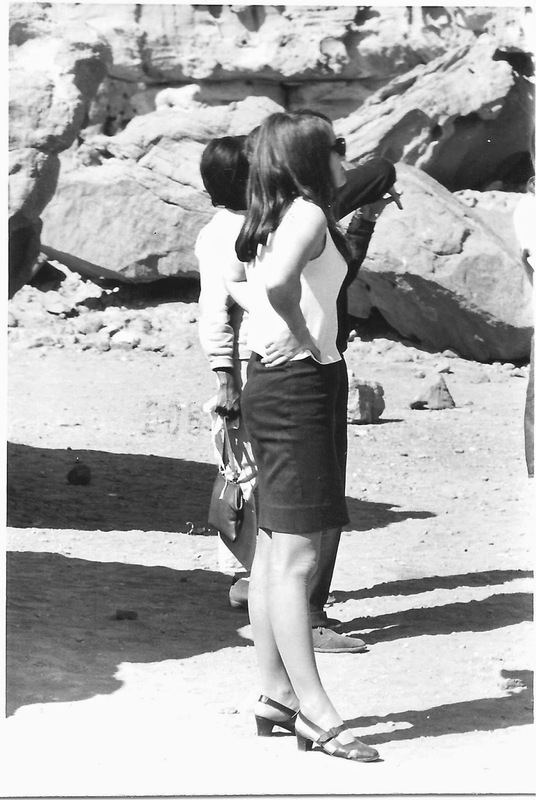 In 1968, the only way to get to the top of Masada was to walk up a steep, winding, and, in places, narrow path. Now, a cable car is available to whisk lazy people to the top. On the top of Masada are ruins of the military outpost. Also, the top provides a sweeping view of the Dead Sea. Eilat. Most of the southern part of Israel is made up of the Negev Desert; the drive from Be’er Sheva to Eilat passes through rugged and largely uninhabited desert land. After driving through the desert, it is a relief to reach Eilat, a city located on the Red Sea’s Gulf of Aqaba. The water was pristine. We took a glass-bottomed boat to view the under-water world of the Gulf. After a couple of days to float in the warm Gulf waters, we headed back to Haifa for the trip back to Vienna. The trip to Israel left some strong impressions. Some of them came from having spent so many hours as a kid in Sunday school and church hearing stories from the Bible. It was exciting to see the places whose names I had heard so often: Jerusalem, Sea of Galilee, Bethlehem, Nazareth, Mount of Olives, Jericho, etc. Other impressions were of the state of Israel. It was a surprisingly small country and much of it was made up of an inhospitable desert. It was hard to believe that a country with so little land and so few resources, surrounded by hostile neighbors, had been so successful. I was surprised that Israel had such a distinctly modern and Western feel, and the differences between the places we visited that had been part of Israel since its creation and the parts that had been occupied seven months earlier were stark. Visiting the occupied areas was stepping back in time. 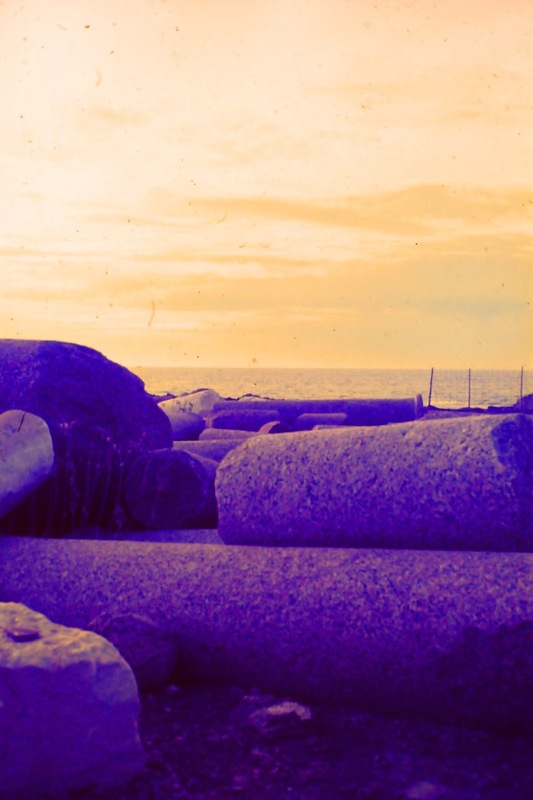 As we were headed back to Vienna, on the day I turned 21, I thought to myself how much I had enjoyed visiting Israel, what a great opportunity it had been for me to travel there, and how much I had learned from the trip. Even now, more that 45 years later, I still feel the same.